Following the worst economic crisis since the Great Depression, and facing a sea of change in clients' demands and expectations, law firms must respond and adapt quickly and effectively. Law firms must choose the kind of law practice they will be; the marketing and business development tactics they will use; the overhead that is critical to their functioning; how to price, bill and collect for services; and how to manage the cash flow cycle. Success lies in identifying and capturing the right kinds of clients, providing the services those clients need in ways that add value, and ensuring prompt payment and the ability to grow profits. This book, based on the experiences of the author and his clients over 20 years of coaching and consulting, provides the keys to successfully thriving in the new era. 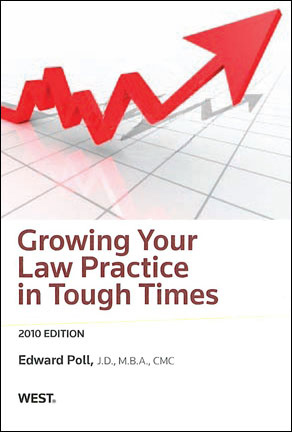 "Growing Your Law Practice in Tough Times is an easy and valuable read. 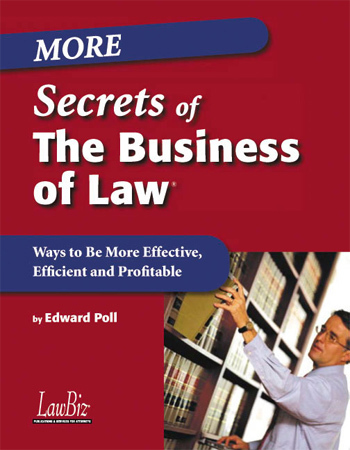 Ed Poll has a gift for taking his many years of consulting in the law practice management arena and translating his experience into plain English. He addresses topics cleanly with advice you can put into practice the very next day. You can read the book, even with copious note taking, in an afternoon and then prioritize your action items. Along the way, Ed livens things up with some great quotes and personal anecdotes. The organization of the book is linear - Ed recommends that you develop goals, rethink your practice, create strategies, evaluate your target market, learn business development techniques, etc. He talks about technology, office space, staff, fee arrangements, time and billing (and course about collecting the monies you are owed). This is not a scholarly treatise and you will not find yourself nodding off. Taking his own advice (for lawyers who want to be authors), he keeps things light and easy to digest. It is hard to imagine any lawyer who would not benefit from reading this book. This lawyer is certainly very glad she did. Although it did add to my to-do list . 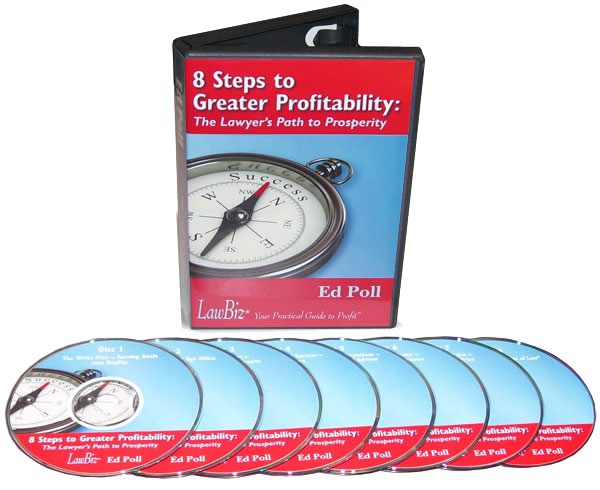 . . thanks Ed for a great legal resource!" "Growing Your Law Practice in Tough Times is Insightful, focused and addresses the challenges facing law firms in the current economic climate. 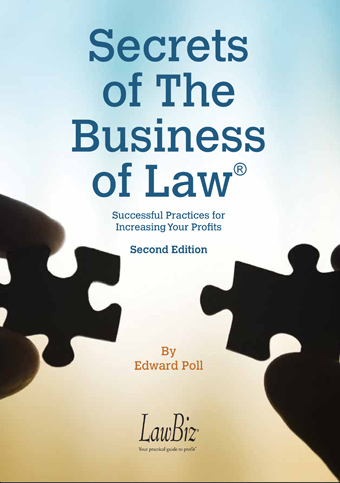 This book is a must for law firms of all sizes. As firms struggle to stay alive, you might ask who has time to sit down and analyze a firm's goals and develop a strategy. Ed Poll makes that important task easier by asking the right questions and offering the right guidance that will lead you to the right answers for your firm. What kind of practice do you want to be? Strategy: "whys" and "hows" of the planning process. Staffing, pricing, collecting, and cash flow-- the measure of the health of your practice. Ed closes with these wise words: "Good luck is the intersection of preparedness and opportunity." The book provides a step-by-step guide to refining the preparation and groundwork a firm should consider when developing its strategic plan. These steps pave the way for a firm to find and seize the opportunities that can lead to a successful practice." Rethinking The Firm's Goals: What Kind of Practice Do You Want To Be?